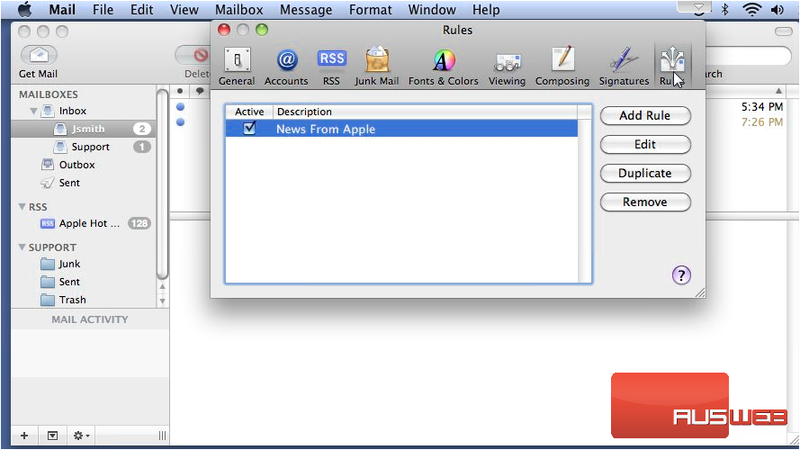 In this demonstration, we’ll see where to find the different settings in Apple Mail. 2) The tab that opens by default is the Accounts tab where you can manage the options related to your mail accounts. 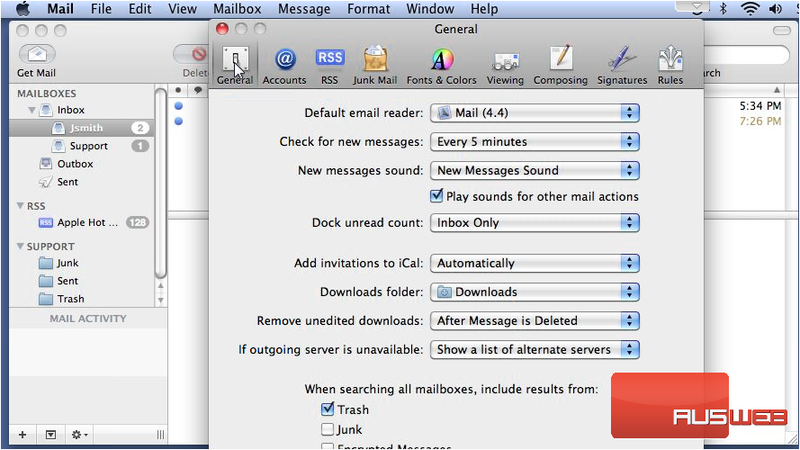 3) Go to Mailbox Behaviors. 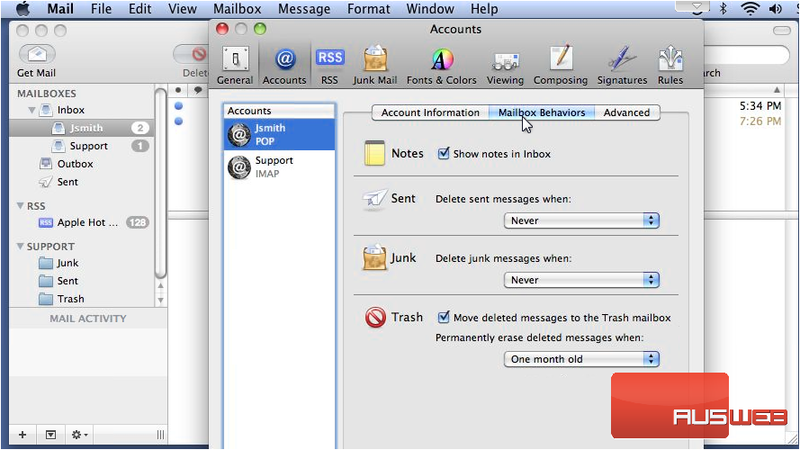 This is where you can set how the program treats sent, junk and deleted messages. 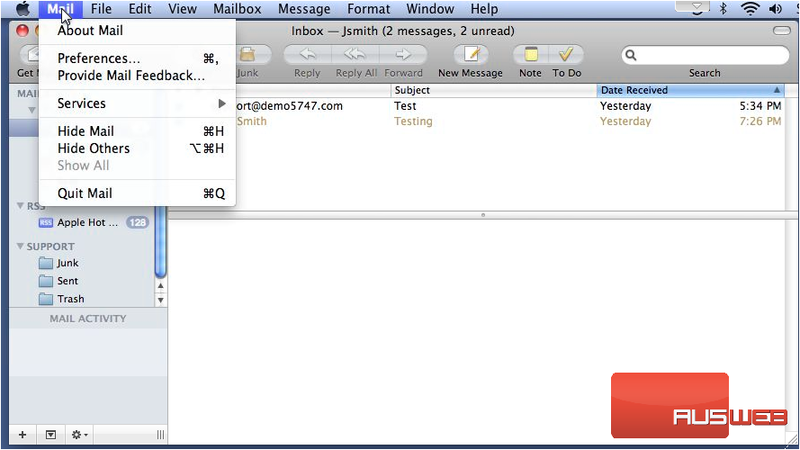 4) The advanced tab shows additional options for the selected mail account. You can also manage the SSL settings here. 5) Let’s look at General options. 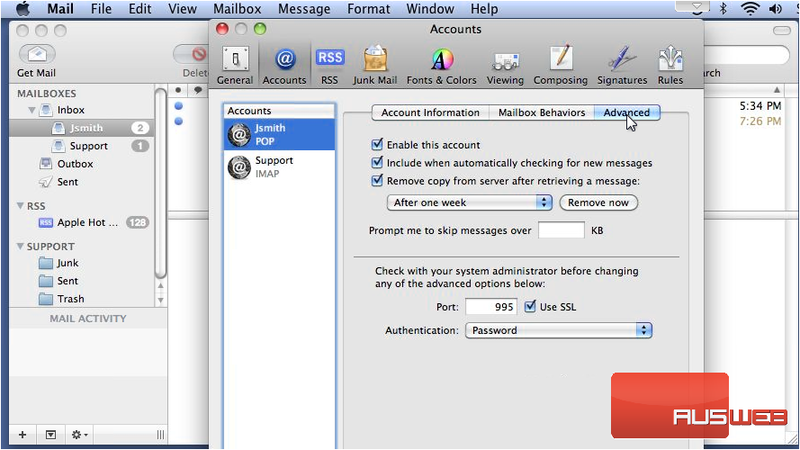 6) This option sets how often Apple Mail will check for new messages on the server. 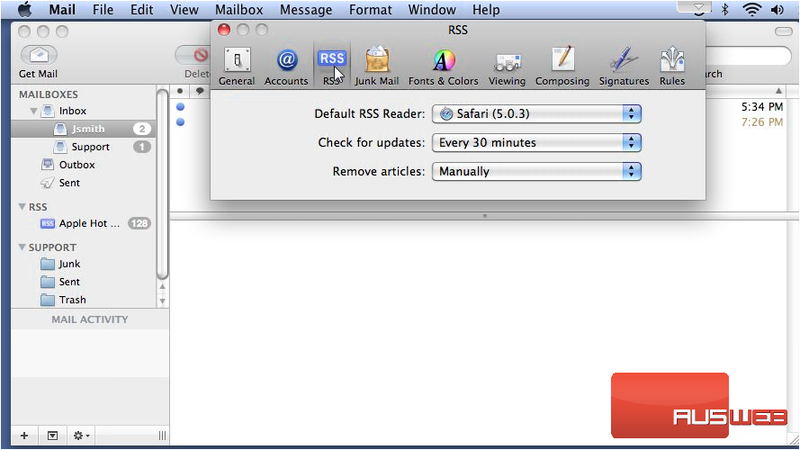 7) The RSS tab is where you can change settings related to your RSS feeds. Set your default RSS reader, how often to check for updates to the feeds you have added and choose when to remove the articles. 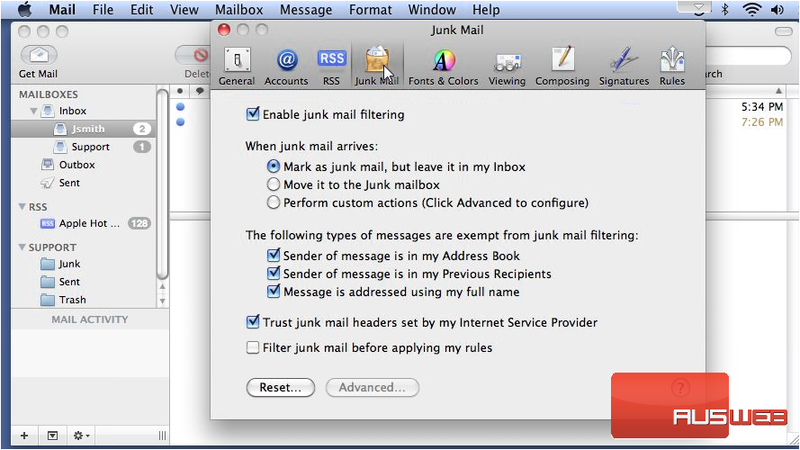 8) The Junk Mail tab is where you enable or disable junk mail filtering and set how the program reacts when you receive junk mail. 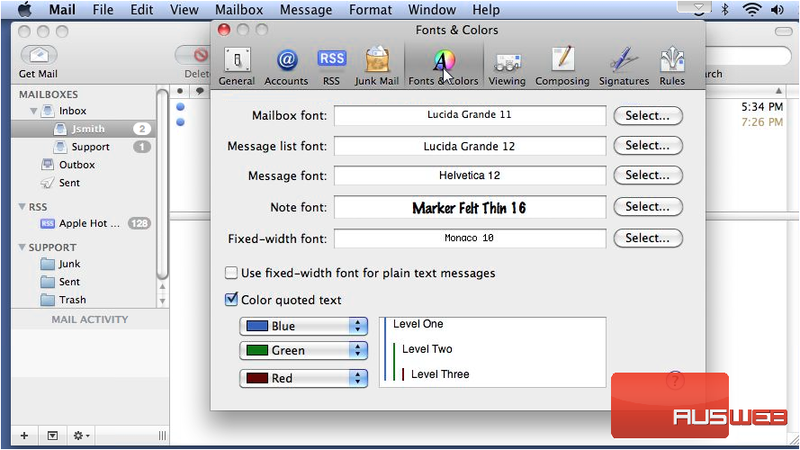 9) On the Fonts & Colors tab, you can set what the font will look like for mailboxes, messages, notes, etc. 10) The Viewing options let you change settings related to viewing messages including the header detail and message threading. The settings on this tab affect message composition. For example, you can change the spell checker, automatically send copies of sent messages to yourself, configure address options, etc. 11) The last two tabs, Signatures and Rules, will be covered in more detail in other videos in this series. 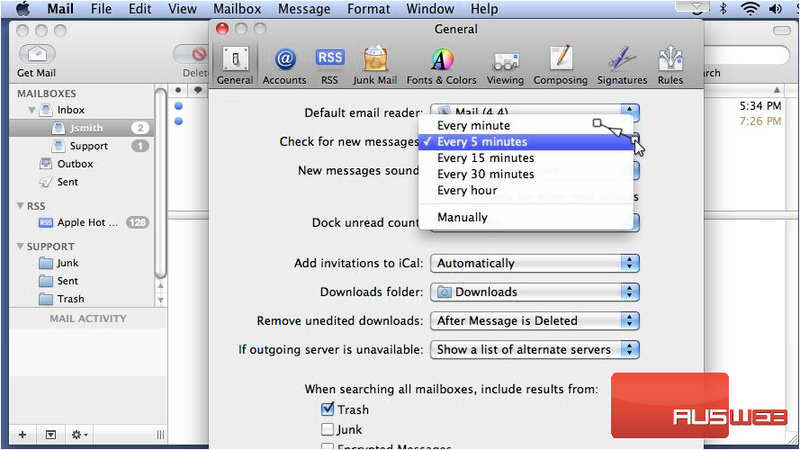 12) Rules are basically filters you can set up to sort your mail into folders. That’s it! 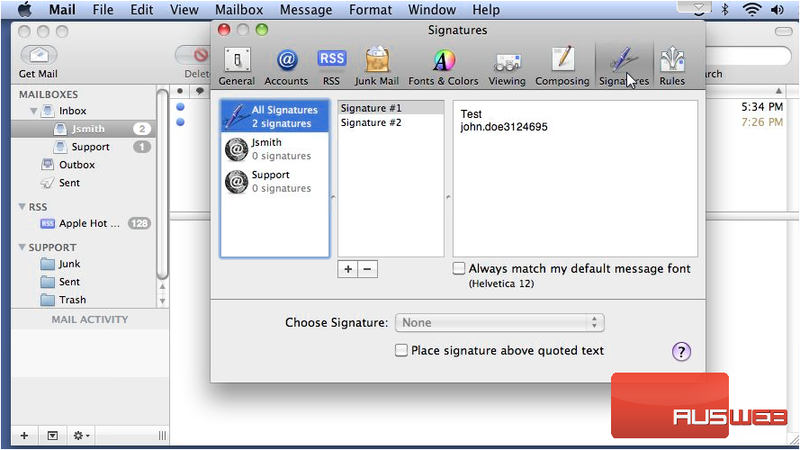 Now you have seen an overview of the preferences in Apple Mail. tutorial will show you how to configure settings in Apple Mail. 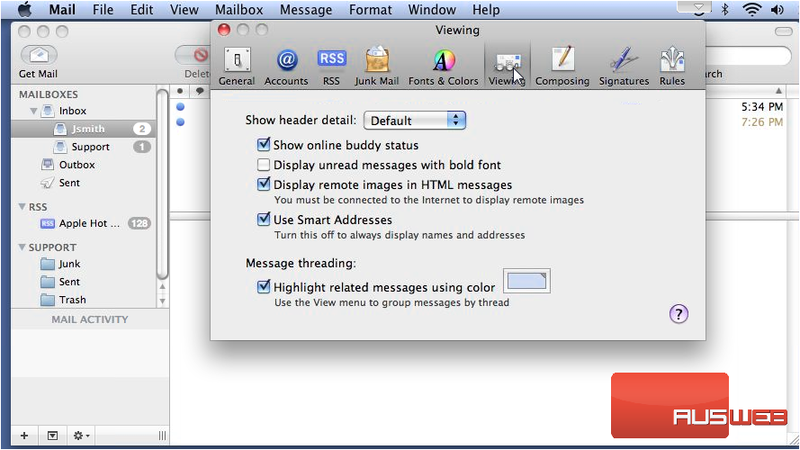 Apple Mail is an email program included with Apple’s OS X operating system.